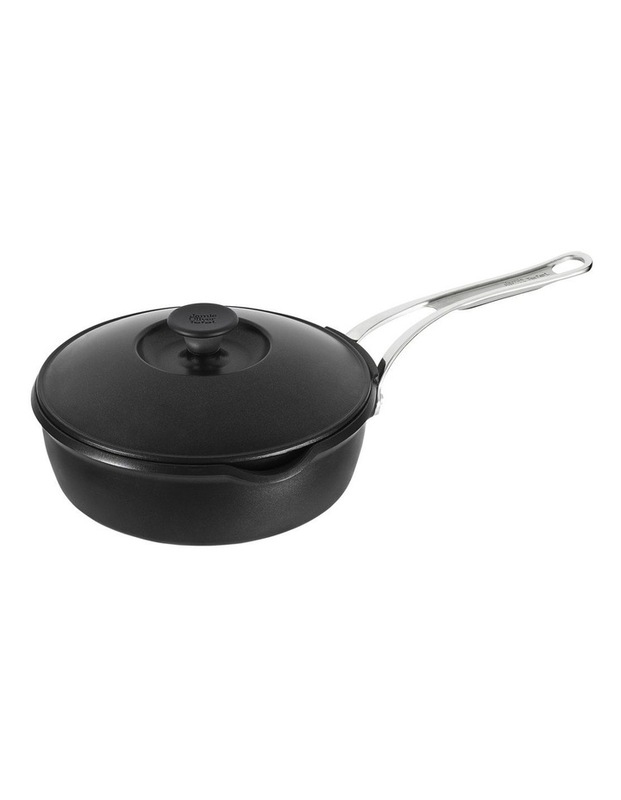 Crafted from cast aluminium with a reinforced titanium non-stick coating, this sautepan is ultra-durable and incredibly lightweight for a superior cooking experience. The cast aluminium provides exceptional heat conductivity and diffusion, and the stainless steel disc on the base makes this pan induction hob compatible. The signature Thermo-Spot indicates the optimum cooking temperature for outstanding results and the riveted stainless steel handle with silicone insert provides a secure and safe grip. The pouring lip allows for easy plating up and draining, and it's dishwasher safe, too.